More than 20 young people from secondary schools across South Gloucestershire have successfully completed a Post 16 Internship Programme, designed to develop their employability skills and experience. Internships are related to student career interests and run during the summer for two to six weeks. Initially students go through an interview to assess their suitability before going on to the next round where employers and students are matched with each other. Working for a variety of employers, students learn about the range of job roles, career progression routes and work skills that relate to the employment sector which they are interested in. After the placement, the students and their parents are invited to attend an Internship Celebration event, along with employers and school teachers. This year’s celebration took place on Wednesday 5 October at the Resound Centre in Mangotsfield, South Gloucestershire. 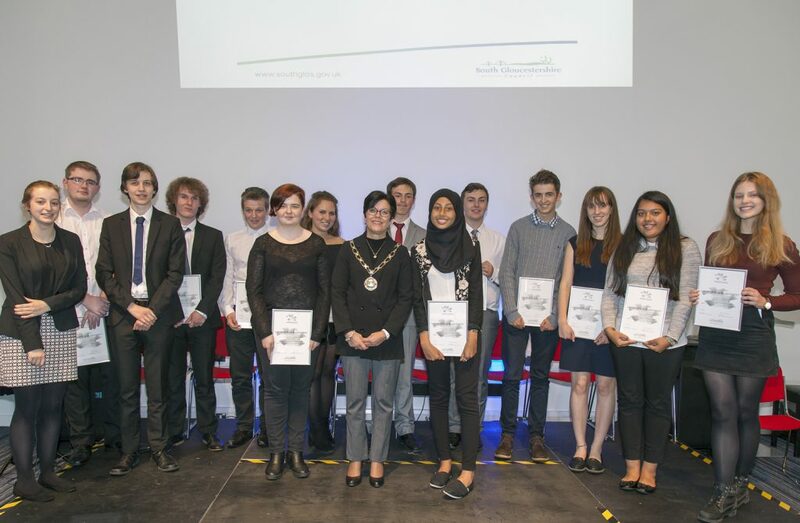 Erica Williams, Chair of South Gloucestershire Council, attended and presented each of the students and employers with a Certificate of Achievement. Cllr Williams said: “We have been very fortunate this year to have the support from a wide range of employers from the public and private sector as well as the University of the West of England. Employers and organisations taking part in this year’s programme included the Royal Bank of Scotland, Mitie, KTS Training, N-Gaged, Marshfield Bakery, Destination Bristol, Severnside Transport, South Gloucestershire Council, Aztec Hotel & Spa, Bradley Stoke Radio Station, Barratt Homes and North Bristol NHS Trust.